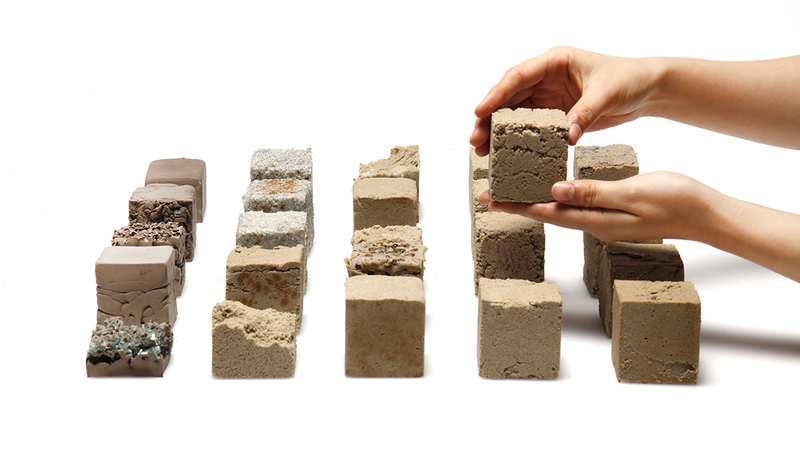 Finite is a new composite material made from desert sand. 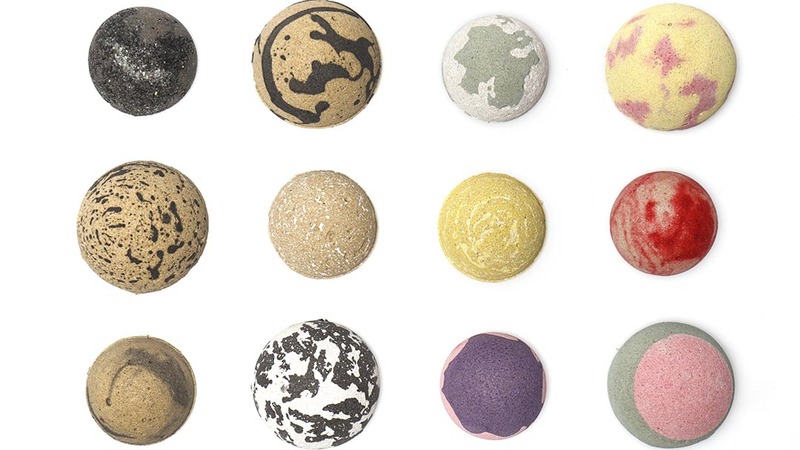 It is as strong as concrete, but unlike concrete, it is biodegradable, simple to make with abundant materials and easy to reuse. 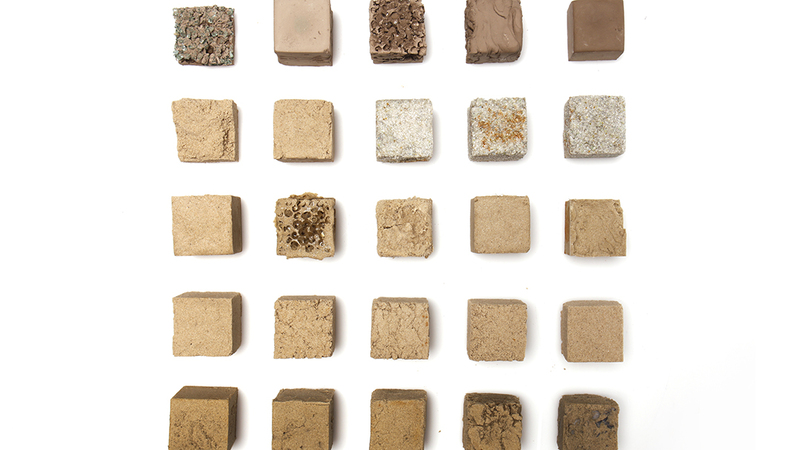 Finite, a newly developed material composite, opens new opportunities to make use of desert sand that traditionally had no use. The material has the same strength as traditional housing bricks and residential concrete and is also more environmentally friendly, with less than half the carbon footprint of concrete. Finite can be dissolved and then remoulded for multiple lifecycle uses, leading the team to explore its application in short-term infrastructure projects. Once these structures are no longer needed, they could be quickly deconstructed thanks to their design and the material’s unique properties. The deconstructed material could then be collected for reuse, or left on-site to safely biodegrade back into the local environment. There is a common misconception that sand is an abundant resource. In reality, beach, river and quarry sands are all in high demand and heavily used in many industries, especially construction. Sand mining now represents a $70 billion industry with huge demand coming from construction. Just one kilometer of motorway takes up to 30,000 tons of sand to build. Desert sand however has little use, as its grains are too smooth and fine to bind together. Even Dubai imports sand from other countries for construction purposes.Finite uses these abundant materials while achieving the compressive strength of traditional brick and residential concrete. The production of Finite also has less than half the carbon footprint than that of concrete. Thanks to Finite’s material properties it can be deconstructed and then remolded for multiple life-cycles. This gives Finite many end-of-life options. Once we recognised the fact about sand war, we started to think about how we can use desert sand which people do not use currently. We continued to iterate using different mixes and binders and creating over a 150 different test samples to perfect our final mix. We leveraged the expertise at Imperial College London to test different properties of our material. The most important characteristic being compression, our latest results doubled our previous record for compression, this block holding up to 2 SUVs or 17 MPa and achieving strength equal to residential concrete! We ran many other tests ourselves to become more familiar with the material and how it behaves in different conditions like testing with fire, rain and snow. At the same time we began to explore different forms and aesthetics our material could take, and these colour samples and household objects are the result! 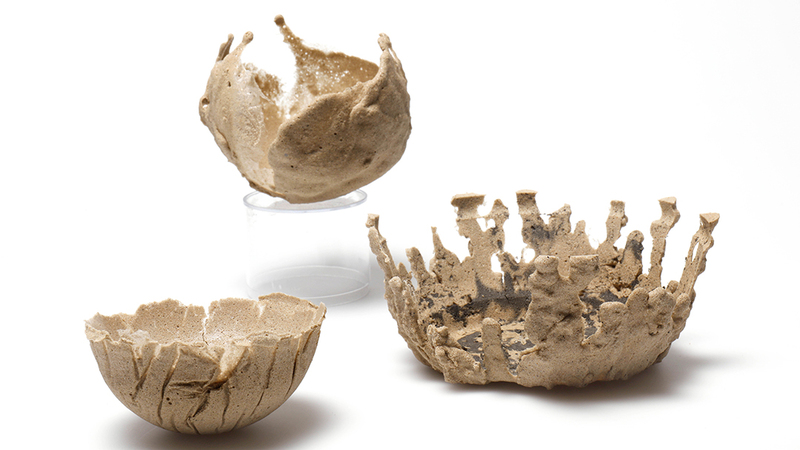 We embedded various natural fibers and meshes into our material for added reinforcement. The addition of hemp fibre delayed failure in our material. Some of these arches contain those hemp fibers while others contain iron mesh much like concrete. We made these arches to test the strength and ability to make different structural forms possible with Finite. 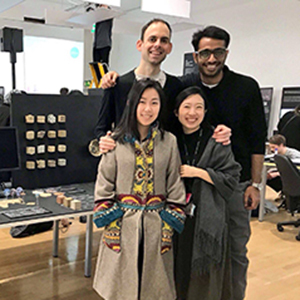 “Finite” extents the scope of digital fabrication to one of its basic points: the material, its accessibility, its ecological footprint and the needs for a sustainable life-cycle of the fabricated products. 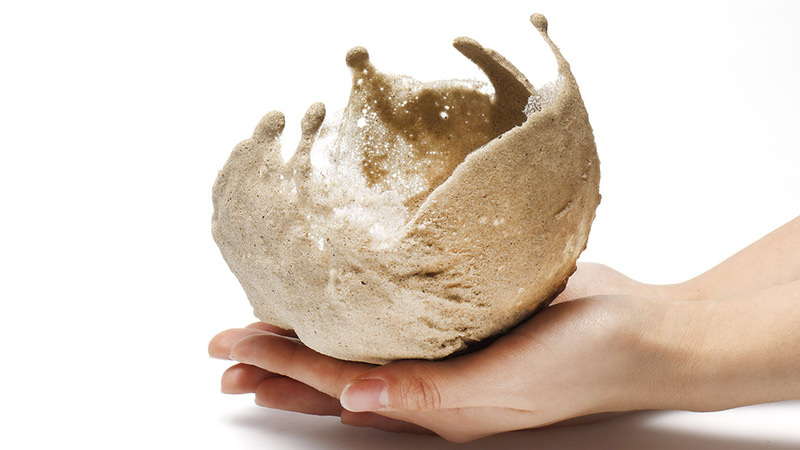 By turning towards dessert-sand it opens up a wide field of imaginations for new directions and applications which could have an impact also outside of digital fabrication itself. Even it is still in a prototypic state it delivers a strong case for the philosophy behind the global makers and fab communities and their high potential to continuously be driving forces of responsible innovation. More than enough reasons to recognize this work with in the YouFab Award.